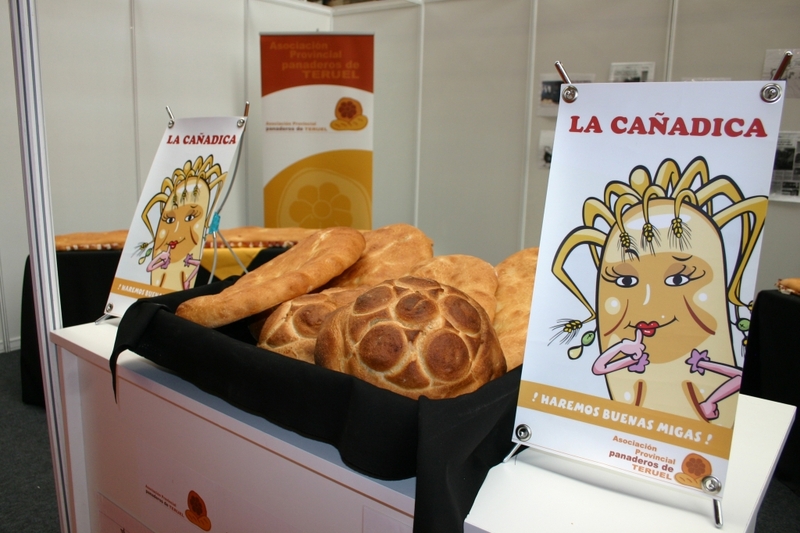 With the support of C’alial renowned as a quality food association, Cañada and Pintera Bread are the result of a manual elaboration with no additives or processing aids. It is simply based on the highest quality raw materials (wheat, yeast, salt and water) and on extended periods of fermentation. 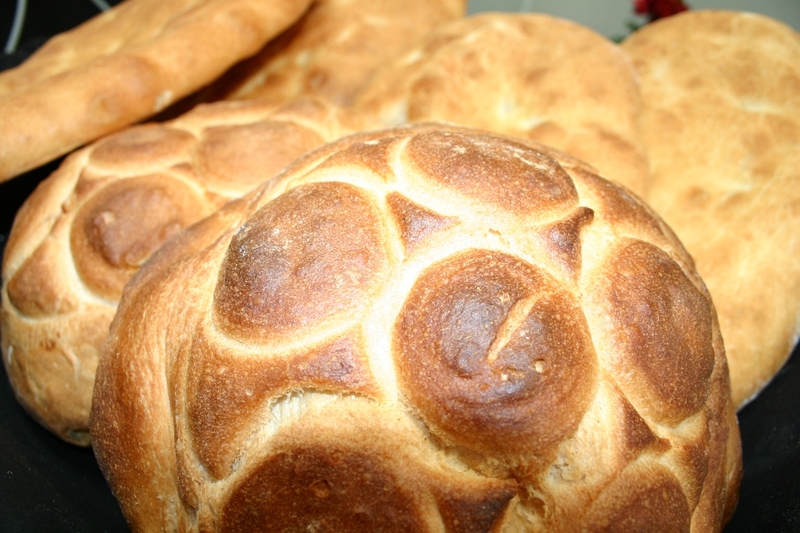 Pan de cañada. Its oval shape and its less than 6 cm thickness can be easily recognized. It has a golden color, caused by the olive oil covering before it is cooked. It has been an essential in every sheppard’s bag since the Middle Ages for being a fresh bread that lasts for a long time. The name Cañada is related to the ravines (cañadas in Spanish) used by shepherds on the move to new pastures. In Naples in the 17th century, there was a type of cañada bread with a crusty cover that is being used for the bases for pizza we know today. 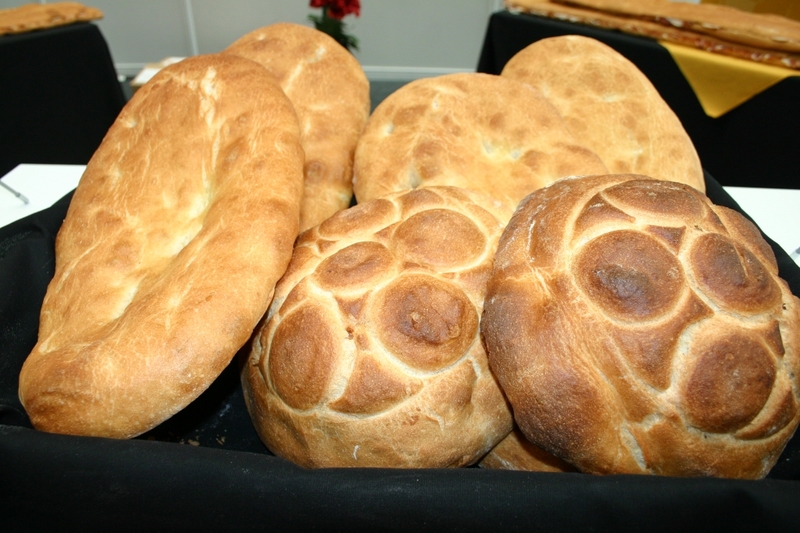 Pan de pintera.This bread is a round squased on its side bun also called pintadera or sta. The crust is thin and crispy, showing a thick honeycombed and delicious spongy crumb. 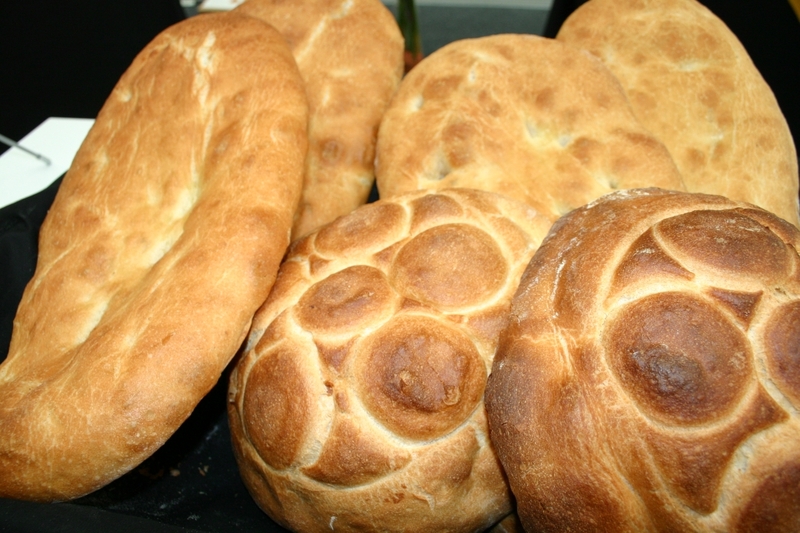 Its rustic look comes from its origin as it is similar to the homemade breads in the Middle Ages. Its name comes from the custom of marking (pintar) each bread to be recognizable when baked in communal ovens existing in the vicinities of the province. In hard times, pintera bread also replaced the wedding cakes, or it was specially decorated to be eaten in parties and social events. As bread is considered the main element for many cultures since antiquity, it can be eaten with any other food at any time. Any of the breads that are made in Teruel can be combined with the rest of our qualified products: Jamón de Teruel, cheese, olive oil from Bajo Aragon, etc. You can find it in all types of food stores and supermarkets but especially in small specialized shops and bakeries.